BLOCKCHAIN: What is it? Potential Applications Beyond Cryptocurrencies. 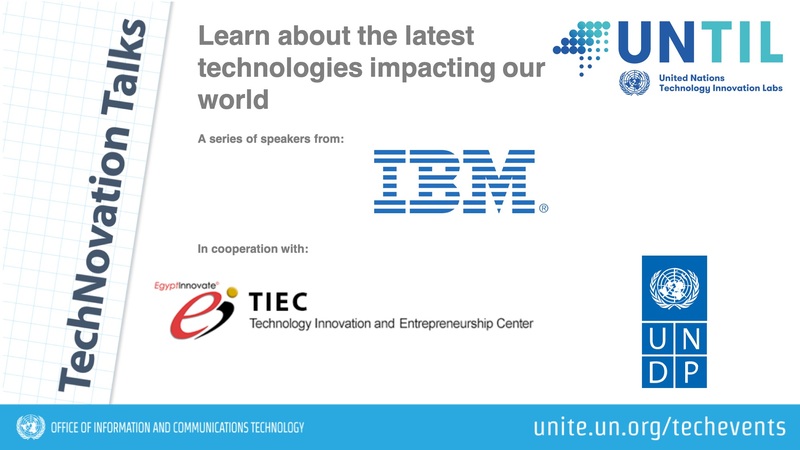 UNITED NATIONS TECHNOLOGY INNOVATION LAB (UNTIL LAB) EGYPT, IN COOPERATION WITH THE EGYPT TECHNOLOGY INNOVATION & ENTREPRENEURSHIP CENTER (TIEC), THE UNITED NATIONS DEVELOPMENT PROGRAMME, AND IBM EGYPT. This event will provide an introduction to Blockchain technology for individuals without a technical background. It will include an introduction to the technology as well as examples of its uses not only for cryptocurrencies but also in other domains related to the work of Governments and the private sector. Featuring Mr. Amr Eid from IBM Egypt, this event is open to the entrepreneurs, students, established businesses, academics and the general public.